Abt Associates, a US research, technical assistance, and consulting company, manages the USAID-funded PMI AIRS Project, which seeks to reduce the burden of malaria in 14 African countries. This project is expanding to fight Zika in 15 countries in Latin America and the Caribbean, including the Dominican Republic, Haiti, Honduras, Guatemala, and El Salvador. 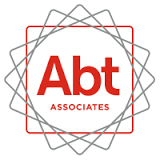 Abt Associates seeks qualified candidates for several positions in the Dominican Republic, Haiti, Honduras, Guatemala, and El Salvador. Click here for brief descriptions and qualification requirements for open positions.